A product is a result of long time contributing to research a great opportunity to earn from advantage of forex market. It respond to market moved using a newly technique. I found that in a long term by using any pattern of price movement could have a probability to win trade more than lost trade. Using a matrix pattern can provide wining more than 60-70% of total trade depend on market condition. In the case of trading cost from spread and commission is low enough trading in this ways must have a great profit. For example, with a reverse signal exits strategies, profit or loss is about half of take/stop level. The calculation of profit is 70% win minus 30% of loss is about 40% of trading. In the case of market is not strong volatility, the wining may provide 60% or less profit result. This product corrects a matrix pattern and bring into the trade signal. Product corrects trick price each second and converts into 12 bits of binary address, this address points to a single matrix. Time by time the repeat pattern could be detected as trade signal. I invite all of you to conduct the test. Using high performance computer to optimize and design you best trade for live. Running it with no money real accounts until trading was started. Result is no money for trade is appeared. We can wait until some density of orders then you can feed money for. It could change your live simply. This is an opportunity together with EUROPE BIG MOVE. Product provides fantastic options for internet access. It allows trader to set parameter for internet download and internet upload via web-request and send FTP. Let you could correct a real tick matrix pattern to where else around the planet. This is UNLOCK your capability to mobilize your life style. Opportunity is limited no time to think or seek. Now you only GET AND TAKE. This opportunity was opened for you today. It is time for you to start the new think for your dream. InpSymbolForOnlineClone="EURUSD" > Require to create the matrix array filename. OfflineClone=false > load matrix array files from begin and save these files when exits the program. QnlinePatternUpdate =NOT_APPLY > 3 options "FTP_ULOAD", "DOWNLOAD","NOT_APPLY" for continuous update during trade. InpComment ="version_1.0" > The comment to each order. InpRequireFrequency= 80 > Minimum frequency that require for generate signal. InpPercentFrequency= 10 > Addition number to frequency filter in percent of the peak. 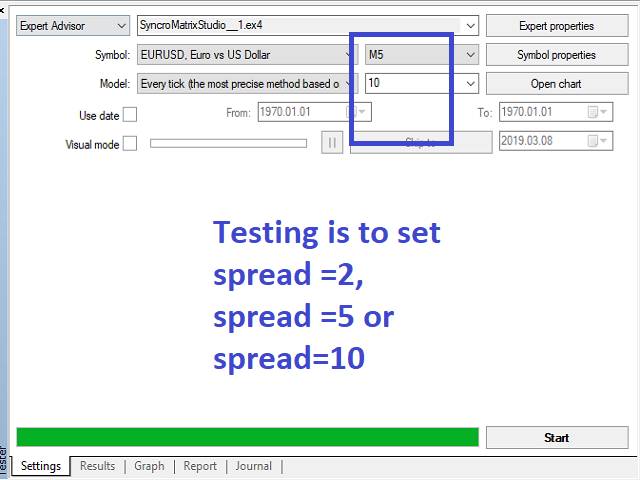 InpControlSpread= 10 > The limited of spread to trade. 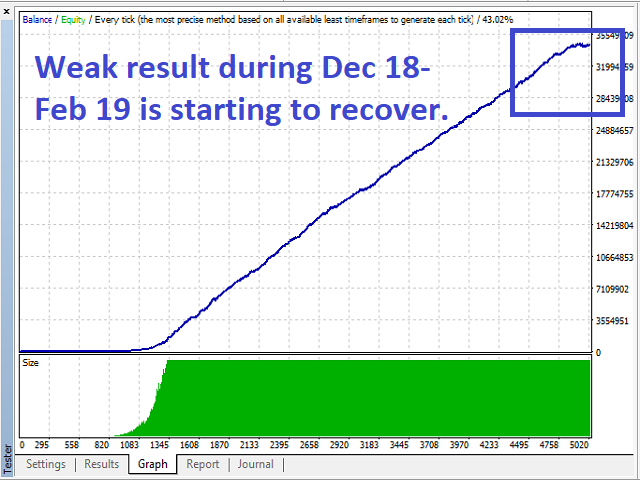 InpControlSlippage= 3 > The limited of slippage to trade. InpPrintPattern=false > turn on monitor logs. InpNeuronStop =target_25 > The estimate of take-level for pattern declare. InpStartGMTHour =0 > The start hour GMT time. InpStopGMTHour =0 > The stop hour GMT time. InpMarginPercent =10.0 > The volume percent by margin. SetTakeProfitAsClone =false > Choice to replace take-level with matrix array files. SetReverseTake=false > Turn on reverse-signal take-profit. SetTakeDynamic =true> Choice to replace take-level using EA. SetStopLossAsClone =false > Choice to replace stop-level with matrix array files. SetReverseStop =false > Turn on reverse-signal stop-loss. 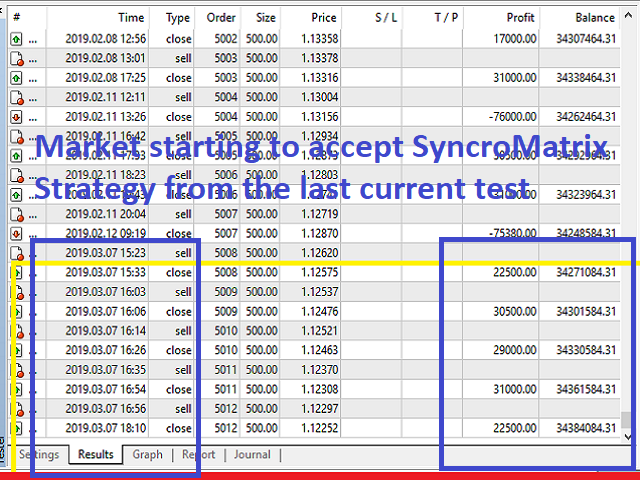 SetStopDynamic =true > Choice to replace stop-level using EA. Start tester set OfflineClone=false, InpSymbolForOnlineClone="EURUSE", InpNeuronStop=target_30 . Matrix array will be created. Startup adviser in same parameters. Click "TESTER". Matrix array will be installed.